Spray a 9×13 baking pan with nonstick cooking spray. In a skillet, sauté the onion in the butter until it is tender. 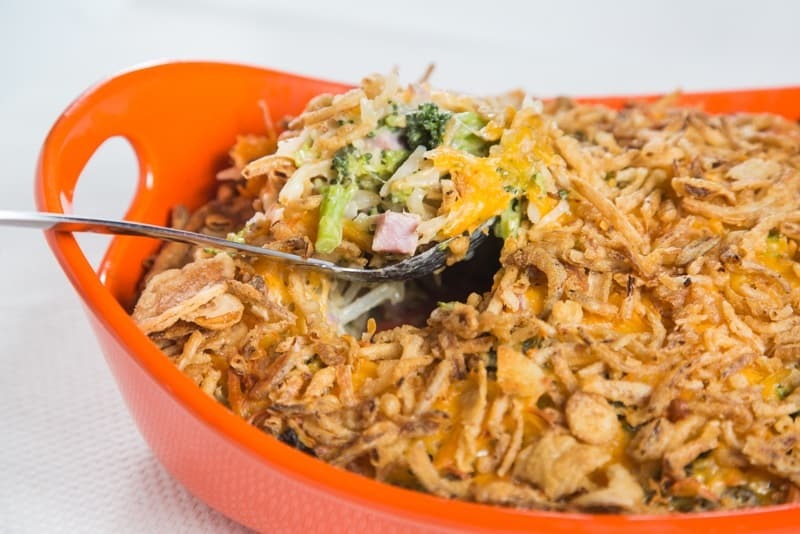 In a large bowl, combine the butter and onion mixture, hash browns, cream of mushroom soup, garlic powder, sour cream, milk, broccoli, ham and half of the cheddar cheese. Mix it all together and pour into the baking pan. Sprinkle with the remaining cheese and French fried onions. Bake in the oven for 45 minutes or until golden brown and bubbly.